A landmark study by the Institute of Medicine estimates that 44,000 to 98,000 people in U.S. hospitals lose their lives each year because of medical errors. The IOM warned that medical errors nationwide can cost as much as $29 billion annually. According to the study, more than 7,000 deaths yearly are attributed solely to medication errors. Most of us hear the word ‘malpractice’ and immediately think about the medical profession and news stories regarding the problems that arise when physicians or hospitals make mistakes or don’t perform to the highest of standards. But the concept of malpractice actually can apply to misconduct or negligence on the part of any professional who causes damage. That means a doctor, lawyer, architect, accountant, engineer or other professional may be liable for malpractice if they fail to perform to established standards. If you’ve suffered harm because a physician, attorney or other individual has not met standards of conduct or performance, Associates and Bruce L. Scheiner, Attorneys for the Injured, can analyze your situation and inform you of your legal rights and options. Our firm has earned a respected reputation for its adherence to the highest standards of legal practice. Following the example set by Mr. Scheiner, our firm’s associates are dedicated to conducting themselves with consummate professionalism and to maintaining up-to-the-minute knowledge of the law and its applications. The American Medical Association information suggests that more than 225,000 people lose their lives yearly in the U.S. because of some type of malpractice. Along with diagnosis-related issues, medication errors, surgical errors, infections, and other problems can take lives or leave victims in pain and with their health compromised. If you feel a physician, nurse, hospital, clinic or other health care provider has harmed you or someone you care about, contact the personal injury and wrongful death attorneys at Associates and Bruce L. Scheiner, Attorneys for the Injured to discuss your rights. We know that an American Bar Association examination of legal malpractice claims found more than 40,000 were made between 2004 and 2007 in the U.S. and Canada. Most often, claims identified problems related to personal injury law, real estate law, and criminal law. When you feel that you’ve suffered injuries or losses because of misconduct or substandard performance by your physician, attorney, accountant or any other professional you’ve entrusted, you need legal help that you can rely on. 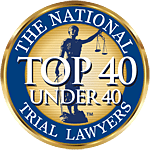 Associates and Bruce L. Scheiner, Attorneys for the Injured, has been a respected practice chosen by residents of Southwest Florida for more than four decades. Our firm offers you a free evaluation of your case. If we feel we can help you, we will invest our time, effort and resources. You will not be charged a fee unless we win. Call any of our conveniently located offices in Fort Myers, Naples, Cape Coral, Port Charlotte or Sebring. If you’ve been hurt and can’t come in, our professional malpractice and personal injury attorneys will meet with you in your home or your hospital room.